Do You Give...Good Voice? How to Find (and Nurture) Your Writing Personality. Voice is one of the hardest things to master in the writing process. And the easiest. Whether you write fiction or non-fiction, children’s or young adult, it’s important to have a unique voice in writing, or in style. This is what sets you apart. This is what gets you discovered. In today’s congested literary world stuffed to capacity with a writhing, teeming mass of writers, how do you make yourself memorable? How do you make sure to be noticed, to be read, and to have readers become fans? By having your own voice. Your own recognizable stamp confirming that story is YOURS as surely as that first twang of a Led Zepplin tune confirms the night will be great. As writers, your goal is to take your reader away from their world and put them into yours. This is what you do with voice. 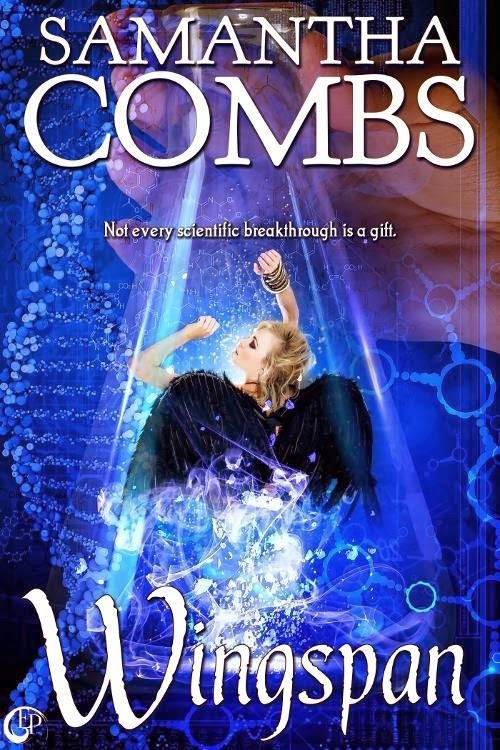 Join Author Samantha Combs at the El Segundo Public Library June 28th and find yours! I am a Southern California author with six published books; the Global Ebook Award-winning debut title: SPELLBOUND, EVERSPELL, and GHOSTLY, all YA paranormals. My Middle Grade horror, THE DETENTION DEMON is out, along with two adult horror collections, TEETH AND TALONS and WAY PAST MIDNIGHT. WATERDANCER, a new YA fantasy, comes out in Sept. I enjoy writing YA paranormal romance and supernatural fantasy, but I also dabble in the horror and sci-fi genres as well, and writing for the Middle Grade audience. When I'm not writing, I enjoy spending time with my husband and two children, and my guilty pleasures include reality television, the Food Network channel and shoes. I truly believe I can accomplish anything if I have the right pair of shoes. I love writing and I am in awe of the technological advances of our lives. Ereaders and similar gadgets are bringing the written word to a generation that might never have discovered books otherwise and every time I see a kid pick one up to read something it fills me with joy to be a small part of that process. If a child can connect with literature because he or she did so electronically, a connection still was made. I am excited to see what our world has in store for literature and excited to be along for that ride. *Fee includes workshop materials, handouts, worksheet and a copy of the authors’ book WINGSPAN. Chessa Dawning never thought she’d be on the run. Yet, she was, having left the only home she’s ever known, staying two steps ahead of the men chasing her and falling for a resourceful ex-criminal with colorful friends. Most of the time, Charlotte Lake can’t believe her life. The reluctant leader of a rebel faction called the Ginger Nation, Charlie’s days are filled with planning surveillance, rescuing detainees, and exposing government conspiracy. Surrounded by loyal friends and soldiers, she knows she can never reveal the true nature of her quest: finding her real father. When a sudden twist brings the two girls together, revelations about the past will make them rethink where they came from and define the future in ways they never could have imagined.